Living as an orthodox Mormon family in rural Utah. Dealing with a crisis of faith in a large, orthodox Mormon family. Living in a mixed-faith marriage. How to ineffectively and effectively communicate with believing family members (siblings, extended family). Dealing with a missionary in the field while the family is having a crisis of faith. Leaving the church after decades of service, and in mid-life. As a parent, sitting outside your own child’s temple wedding. Finding communities of support (and joy) after leaving the church. Note: Kyle’s FABULOUS “Coming Out” video can be found here. Thank you Paul, Lisa & Kyle, for sharing your story. I look forward to listening to 1 & 2. That CTB approach is profound. I’m still an active member. Often difficult. I have felt something inside that I couldn’t quite verbalize. It was CTB. Now, I have succinct wording to help me understand and actually practice. I don’t think I really need to set boundaries for what others tell me. But, I need to respect the lines others have set. I enjoyed listening to all three segments. Every time I hear of a young gay man coming out, and receiving acceptance, it occurs to me, more and more, that acceptance is not enough. Our socialization processes in the home, in schools and churches, provide no hints, no ways to look for it earlier, to celebrate it as a gift, as much a natural gift as any kind of budding sexuality that leads to love, relationships, and the next steps in life. Having come a long way, we have a long way to go. John, I’m getting a lot of skipping and silent patches in the first episode. Is it my phone or is anyone else getting this problem? I had the same problem in some segments. I don’t think it was your phone. I’m getting the skipping to. Glad to know it’s not my own headphones. Yes, the skipping is very unfortunate. This is an episode that could really be helpful to people in a faith crisis. It needs to be shared widely and some reluctant listeners might check out when they get to the skips. Maybe at least edit that whole part out. Will try to fix when I return from travel in a week!!! Did a segment of your travel take you from Denver to Chicago? I think I saw you on the United 12:45pm flight Sunday Sept 11. Not me! 🙂 Was in Logan on 9/11. Cool, you have a doppelgänger out there. I was getting it as well. Sorry new at this and am not sure how to stars a new post, so I’m hijacking yours. I can relate to Lisa on calling burnout. I was full blown TBM. Primary presidency to 2nd counseler in YW to YW president. I was burned out by then and holding on for dear life. My husband and kids hates church. Why I said I’m doing all I’m supposed to where are the blessings. Working full time I’m exhausted. So to my relief I will be released when our ward is splitting. I begged God for relief he knows me and my struggles right? Guess what my new calling was???? 1st counseler in the YW presidency. Wtf I got demoted have you ever heard of that?? That’s when I knew the spirit in callings was bs cuz my God knew I was burned out. Wow what a story. Thanks for sharing what works and doesn’t work. I hope it will help others. Thanks for having the courage to come out. I really enjoyed this podcast! Thanks so much for sharing your story. I relate so much to Paul’s experience with the Church, and especially his experience with the temple, and not being the stalwart priesthood holder that my wife expected. I’m a couple years younger than Paul, but I was also raised in Utah with the Stewart Peterson image of the First Vision narrative. In spite of the things that trouble me about the Church, I’ve managed to stay active in the Church my whole life. I’ve also stayed away from anything other than authorized Church-authorized sources for information until just recently. Thank you for your great example of how to transition out of Mormonism with so much love to family and friends. I am still in, but I don’t think this is a sustainable route for me long-term, although my wife and I are not at the same place in our faith journey. Thank you for the great example of how to show integrity and love and make the most of this life we have to live! Wow!!!!!!!!!!! I loved this entire podcast and could relate to soooooo much of what they spoke about. I too have a gay child. I too have lost my faith in the church. I too have had to wait outside the temple while a child was married. I too have felt the emotional struggles of wanting to feel understood by people who I love who don’t understand my choices. The biggest difference is that my spouse is not on the same journey as me and is still in the church. It has made the transition so much harder because I have felt like I have hurt him so much by letting him down in what is still so important to him. I have a child leaving on a mission in a couple of weeks and I respect that child’s choice, but it is incredibly hard for me. I am jealous (but happy for) people who are lucky enough to have a spouse who has a similar mindset and sees things the same way. It has been incredibly lonely for both of us. We both have felt alone on this incredibly difficult journey. We both long to support and help each other, but it is very difficult not to bump into the boundaries when it is your spouse that the hardest boundaries have to be with. But again, thanks a ton for sharing your story. It made me laugh, cry and feel some hope that I haven’t felt for quite some time. Thank you. I am in a similar place. Thank you for sharing your experience. My story is very similar to Square Peg’s. I was a 19 year old convert to the church 49 years ago and my boyfriend joined the church after meeting me and is now my husband of 47 years. 14 years ago my fourth child came out to us after his mission. My husband was bishop of our ward at the time, but being the remarkable man that he is, he was very accepting of my son, as was I. Unfortunately not all of this child’s seven siblings were supportive and family gatherings are still awkward. The church’s teachings on LGBT caused me to question my faith which led me to listen to Mormon Stories podcasts for the last few years and becoming inactive while my youngest son was on his mission. Half of my children are still TBM, and half have left the church. Unfortunately my husband is still TBM and while our marriage has survived, I too feel very alone. I have asked my husband if it would be better if we divorced so he could find a companion who shares his love of the church. I really enjoy listening to Mormon Stories podcasts. It helps me feel that I’m not alone. I would love to find women in my area in my age group, like WOACA, to socialize with. I live in Colorado Springs, CO. I would love to contribute monthly, but don’t have a PayPal account. Is that the only way to contribute? Today, I listened to Part 1 of this story. I was on a 5 mile walk along the Jordan Parkway Trail. For at least half the walk, tears were streaming down my face. Why?, because Paul’s story is my story and Lisa’s story is my wife’s story. I am profoundly comforted that we are not alone. I’m a bit older so my Mormon Story is longer than Paul’s 29 year struggle but the details are almost identical. I’m a 62 year old High Priest who was serving in a Bishopric two years ago. I had a temple recommend and paid tithing for 40 years, sent three kid’s on missions followed by temple marriages followed by grandkid’s baptisms. Likewise, we are now powering through the process of losing our entire social culture and experiencing friends and family shunning us. I wonder how many Mormon families like us are out there. I can’t wait to hear Parts 2 & 3. It matches me with the exception that my wife is still fully in. I wanted to send a heartfelt virtual hug to you and to AG below. I am 35 and this transition has been so hard, but this podcast opened my eyes to how much more an older member is putting on the line to make the integrity based move to leave. It has also softened my heart to my parents who refuse to look at anything that would rock their church boat…as there are truly things to lose, and I need to celebrate our new boundaries. DRAPERVILLE- Pieces of 1st and 2nd parts made me cry also. I really appreciate this post also! I lived in Draper for 30 years and wish you both lots of love and happiness. I was born into polygamy and lived it with my husband for over 30 years before I discovered the lies, went through losing family and feeling resentment and hate. . . but now, so grateful for my life and genuine friends and family that I could scream for joy! Can’t wait to listen to part 3. Add one more to the count. I thought I was listening to my own story while listening to Paul. I have been on two high councils, stake exec. sec., and many other callings. Tithing for 30 years. The difference in my story is my wife still believes and has entrenched over my disbelief. It can be so damaging to families — I’m just trying to keep things together until she (hopefully) is willing to see it with open eyes. I am so grateful for John D’s work so people in my situation don’t have to feel alone. I believe this is happening all over the church right now, and especially in the heart of it. I can really relate to Paul’s description of worries about getting a leadership calling. I am fairly unorthodox in my beliefs but still active in the church and I’ve never turned a calling down. There are a lot of things I’m still willing to do, but I’m not sure I could be in a bishopric, and I’m not sure what I would say if asked. During the 80’s and 90’s I used to wear colored shirts to church and I told my bishops and anyone who asked that I wanted them to get the impresssion that I am not Bishopric material. Everyone always laughed but internally I was dead serious. I still behaved like a Bishopric candidate. By the time I hit my 40’s, being a full tithe payer and temple attender, I started getting called anyway. but I have told every stake president that I sincerely cannot never accept a call to Bishop, using the premise that I get extreme anxiety helping other adults with personal issues. Ha ha my husband did the same thing. And it worked for about 35 years until a shrinking ward called him to be high priest group leader. That was his calling 2 years ago when he dropped the keys on the bishops desk and told him we were leaving! I think “dropping the keys on the bishop’s desk” should become a new euphemism for leaving the church. As in, “yeah, I was 23 when I dropped the keys on the bishop’s desk!” It’s an alternative to the “I was 23 when my shelf broke…” formulation. What an emotional ride just listening to this podcast! And all the emotions & experiences that this wonderful family went through. It brought back so much feelings and memories, and regrets about how I had and am handling my own situation. I’m about five years from my own “enlightenment” and my husband is still tbm, but very liberal. One part that stuck out was how quickly Lisa went from believing to not believing. That is how it happened to me, though I had no one to lead me or lean on like she had Paul. It’s amazing how those blinders can come off! I was feeling so much relief for her as she expressed what she felt. I had felt that same way. And later what she said about thinking, is just so true. I love the feeling of THINKING without having to reign them in to fit a very specific & tight little box. LOVED all the LOVE. That was so touching and inspiring! Wow! Just finished all three segments. Thank you so much for driving the 5 hrs to share! I’ve been listening to these podcasts now for about 3 weeks and am absolutely devouring them. I learn so much from each one! I left the church 8 1/2 years ago when I realized I had always used it for the moral high ground to beat the “crap” out of my husband who went in and out of the church our whole marriage. He even became an ordinance worker with me to make me, his family,and even his business partner happy! Then he would always rebel and be a real a..hole. When I realized why I was in the church, for a whole lot of other reasons, too, I simply walked out one day after I heard the third talk on Joseph Smith. I didn’t care if the church was true and I was going to hell, just couldn’t do it any more. I didn’t have problems with any of my Mormon friends, even tho they never asked why I left, told me I did cuz I read anti-Mormon literature, ( never did) and they’ve even given me a B of M. I hope this doesn’t happen to you, but now that I’m listening to the “evil” podcasts and learning sooooo much, I’m getting a little angry that I have respected them all these years and made them feel safe, yet I can’t say jack to them or they will be offended! I’m also extremely frustrated because my husband, although out of the church, gets upset when I talk about what I’m learning. I was so upset over the gay bashing DOCTRINE, sorry, that’s what I call it, that I freaked out! When I heard on a podcast about quitmormon.com, I waited for my husband to come home, told him I was doing it, and did it immediately. I wasn’t ever going to let the church decide how I was going to go before, so this was amazing! What an incredible rush of relief that I didn’t even know I was needing! Anyways, feel like I’m throwing up here! Haha! Anyways I’m very excited about your experience, Lisa, with finding someone one on one to talk to about all this, and I will be pursuing that course. I don’t want to go to meetings, but am feeling extremely lonely with no one to talk to. I don’t know anyone who has my story!!! I’m sure there is, tho. Thanks again for sharing! Amazing story and you’re an amazing family! I am so appreciative for this family and their bravery in telling their story. I could relate to many of the things they shared. It is a lonely place to be during a faith crisis, especially when one spouse transitions first. I just met some of the WOCA women for the first time and I felt such love and acceptance from all of them. So happy I found a place with women who know my pain, but have offered me hope for a bright future. Thanks John for what you do. Your story is timely. We are planning on leaving the church in 3 weeks after we jump through the hoops of my sons ordination as a teacher in hopes that gives us a 2 year window before there are expectations to become a priest. My last callings were 5 years as a ward RS president and 3 as the stake RS president. My husband has served 4 times as the first counselor in different bishoprics. We are counting the days until the charade is over. Your advice on boudaries is great. I would love more information on how to get an invite to the fb group. Leaving is terrifying… The unknown of how our kids left at home will be treated makes me anxious. This is amazing. Thanks so much for sharing your personal story. I lost my faith for the similar reasons at the same time you did and my wife and 6 daughters left as well. a month ago my 14 year old daughter came out as gay to us. I too felt the exact things you articulated. I was so grateful that I was able to just love accept and celebrate her without the judgment I surely had prior to my loss of faith. That part of your interview hit me. I haven’t felt the “spirit” or felt so good as when you articulated your son’s coming out. AMAZING STORY!!! You are wonderful people. I envy the strength of this marriage and family bond. I wish my situation were as successful. This is a wonderful conversation. Paul…………… and especially Lisa, thanks for giving Paul a chance and dignifying his concerns. I really enjoyed this. I am thankful to you all. What a darling family! You guys are great. Thank you for sharing your story and thoughts. I could relate to so much of it! I loved your video, Kyle. Much love to you all as you continue to move forward in your journey. I have older children too and know the heartbreak when things are a bit off. I’m sure your daughter will continue to come around. God bless you all. I am a non-Mormon, never having been a church member. I was raised in a evangelical christian environment, though, and it feels quite similar. I have since moved away from all dogmatic-centric thinking, embracing atheism instead (which I rarely admit because of the strong feelings saying so elicits). I’m not sure my move away from my christian socialization was as kind and thoughtful as this family? I loved this podcast because it has helped me to understand the Mormon experience from the inside. Living in Utah, I’m always striving to understand my neighbors and my community. I thank you for your focus on love and inclusion, without judgment for believers or non-believers alike. Thank You. Great podcast!!! I related on many levels. Do you plan to attend the Affirmation Conference next week? Where can we learn more about the WOCA group? They sound like such wonderful and supportive women, I could really use that! Do you need to be local (it seems like they get together?) I’m in my mid-40s, still active but not believing, and live out of state. Thank you for sharing your story, I could really relate and wish my husband and kids were on the same page. I am still hoping for that moment when they will listen and 4 hours later be done like Lisa was! I would love to figure out how to get into this group as well. I, also, am active but non believing. It would be great to have a support group of people that possibly have children my kids age!! Kyle’s video is so great. It’s like the best sequel to Dan Savage’s It Gets Better videos. When the ward shuns you, that’s bullying. I don’t know why adults think it’s ok to treat people that way. This interview is like It Gets Better for exmormons! Also, I’ve never been Mormon, but by virtue of family am “Mormon adjacent” and seeing family members go through some of this stuff is really hard. You’ve created such a compassionate community here, John! Hearing the Martin Luther story stabs me in the heart. For over 10 years I have constantly struggled with my faith, but have stayed active due to parents, husband, family and friends. (My convert husband was saved by the church and won’t take an honest look). I am constantly torn apart by not living with integrity. (Wasn’t it the Church that taught me to have integrity?). I want to live an authentic life, but I don’t want to hurt those around me. It’s an AWFUL situation to find yourself in and I feel terrible about myself for not having the courage to “come out”. Thank you so much for commenting about our story in Worms Germany. I can’t tell you enough how meaningful that was to us. I am so glad it resonated with you! I hope you can find peace doing what you have to do, until you know longer can. I can’t tell you when to “come out” but I can tell you that after the initial pain, it does get better and living true to yourself is so much healthier. I hope you can negotiate boundaries even if you are still “active” under your terms of what you will do and what you won’t. I am so sorry you feel terrible. Maybe boundaries could help. I also hope, that you can find peace with your husband when you move to a safer place. I get it, and I feel for your. Best wishes! I am also in your situation because I will not allow the church to split my family. I have to take it slow and give my wife and kids time to process everything. That might be years. I hope I can keep doing it, because I often feel like I will crack inside. Someday, and hopefully not too far in the future. Just remember that our pioneer ancestors didn’t make sacrifices for *the church*. They made sacrifices for what they thought was *the truth*. The argument to stay in the church to honor them is actually analogous to our ancestors being told to stay in the Catholic church in Europe. They walked the plains to SLC because of truth (at least, what they thought was truth). They would not just “choose to believe” if they were alive today and had all the information we do. If staying quite for now is what is required, know that you have the strength to do it, just as they did. I really enjoyed the “One Ordinary Family’s Extraordinary Mormon Transition” podcasts. Very inspiring and helpful. Thank you! I managed to squeeze in listening to this entire story over the last 24 hours. I felt inspired by their take on life post-mormonism. Cried like a baby in some places…feeling their anguish, feeling their joy, and just understanding so much of what they went through. And when Paul and Lisa talked about feeling like their faith transition happened just in time for them to have turned into the kind of parents Kyle needed when he eventually acknowledged and accepted his lgbt status…I remember feeling the same exact way. In the 9 months leading up to my oldest coming out as transgender…unbeknownst to her…I was internally going through just what I needed to in order to be even more ready to be the kind of parent she needed. One without all the extra baggage of how to make our new reality mesh with a church that doesn’t want her among its membership. Like this family, I’m super grateful for that. It made things so much more peaceful than they would have been otherwise. And it was hard enough without the pressure to conform imposed by church culture. Bottom line? I still find so much of value in listening and reading about people and families who have left the church. I gain insight and feel a sense of community with them. We share a similar life experience that anyone who hasn’t gone through just can’t have a full understanding of. I’m super grateful for you John and the work you continue to do in giving a voice to those who the church would prefer stay silent. Thank you to Paul, Lisa and Kyle for sharing your stories. In particular for me, the difference in telling your daughter, verses telling your return missionary what was happening for you both. I am truly sorry for the pain regarding your daughter, and wish you all the very best in the healing with her. But I cannot help feel so very grateful that my husband and I have learnt from you both, how to handle our own newly returned missionary. I don’t know what the outcome will be with our son, but you have taught us valuable lessons. Thank you Lisa, Paul and Kyle for your honesty, your wisdom, and hope. I wish your family the very best. I loved the entire podcast. Thank you to each of you for sharing your story, I could relate in so many ways. You are an inspiration. One of the most moving discussions I’ve ever heard anywhere. Thank you Paul, Lisa, and Kyle! I loved how extraordinary this “ordinary” family is. My story is somewhat different, but parts of this mirrored my own experiences. One child threatened to not let me see my grandchildren. It was a horrible experience, but time has softened things and we get along fine now, and I see the grandchildren a lot. I hope this is the case with your daughter. One of the names you mentioned during your story is the same name of someone who my family used to know. Is there anyway we can connect in a private setting (email or something) to see if it’s the same person? This was a very interesting story; thank tou for sharing. I wasn’t going to comment but there is something that keeps bothering me. I am sorry if it seems like I am turning this into a feminist issue but for the life of me, I do not understand why people get so upset about polyandry… Not because it isn’t an awful thing, because it is, but I want to know why they think it is so much worse than polygamy? Sure, we weren’t taught about it in church but why is Lisa so heartbroken over the thought of her husband having to share her… Did she not stop to think that she grew up possibly believing that she would have to share her husband some day – if not now, in the eternities? Why is it such a tragedy for her husband to have to share her with other men but it isn’t for her to have to do the same? I do not understand this. And when men learn about polyandry, why is the reaction not more empathetic toward women? Many of them respond by leaving the church… But for decades, they expected women to accept it and stay in the church? This is such a problem to me. I’d love to hear some thoughts about it because I just can’t get over it. This is something that has always bothered me too Ashley. I can’t speak for Lisa, but as for me it was just the shock of it – so different than the narrative I had always been told (taking care of the widows or celestial sealings only for women with slacker husbands). I guess it just helped me to see polygamy/polyandry for what it was – hurtful to almost everyone involved. It’s kind of been this way for many things I’ve discovered in my faith transition, after the shock of feeling lied to about it, I’ve had to consider whether the thing itself really bothers me too (i.e. seerstones, Book of Abraham, etc.) and most of the time I think there is a good reason the church wasn’t open about these things! The information itself is problematic and paints a very different picture of the early church than a humble, innocent boy asking a question and getting an answer from God. Sorry kind of got off topic there but I agree with you Ashley, polyandry in and of itself isn’t any worse than any of this other stuff just because it involves men on the hurting side of it. Ashley – I do see how it can look that polyandry is seen as so much worse. For some maybe it is. For me though I don’t think it is a big issue for the way you seem to be framing in (I consider myself a feminist, but after all a “guy” so I don’t get everything the same as a woman’s perspective). For me it is more a combination of a shock and it breaks all the excuses for polygamy. For the shock part, I have had decades to warm up to polygamy. Now I have never got to where I was OK with it at all. But I fully knew about it, except the extent Joseph participated or the details/timelines around that. Another part of the shock was yet another big important historical issue hidden from church members. In these cases of Polyandry, it was still the men that were doing the manipulating. It wasn’t the women going out and seeking more than one partner. The men were making the decisions (Joseph almost exclusively). I remember my seminary teacher explaining that polygamy made more sense because if there is one man with many wives, you’ll know who fathers the children, but with polyandry you might not know. (Though now there’s DNA testing). Either way, it makes family relationships just so complicated and remember, they were all sworn to secrecy. I find it so disturbing because of the lies. Not only the lies Joseph told Emma, but the lies the Church has told generations of members by NOT presenting the true history. I was a lifelong member and didn’t find out about Polyandry until my mid forties. Perhaps the difference is that Mormon polyandry wasn’t about a woman enjoying consensual relationships with two or more men. Rather, it was about one man – the “Prophet” – claiming the authority to conscript women already in consensual committed relationships. This was demeaning to both the woman and her husband – it was making both the Prophet’s “b – tches” (to use a crude phrase). In other words, it wasn’t so much matter of “what’s good for the goose, is good for the gander.” You might remember that Emma argued for such a fair symmetry (with that “sweet little man,” William Law). But Joseph shut that down with D&C 132. Given that, I can see a glimmer sexism in the common response. I agree 100% that polyandry should be no harder to take than polygamy. For me personally, they are both evil. The problem with polygamy in the church is that the rules were broken over and over by most involved. JS the prophet did not obey the commandment given in his own revelation. You would think that if an angel with a drawn sword threatened you with your life if you did not obey, you would most definitely live the letter of the law out of fear for your life! But that did not happen, and by most scholars, it seemed to be purposefully disobeyed. That’s where this issue of polyandry can seem even worse. It was a utter and complete disobedience to the law that was given. If polygamy truly was a command from God, then we could maybe justify it in our minds, and most of us did for many many years. The thing that really got to me was the disobedience? So, the real question is, why was JS NOT cut asunder for his disobedience? Just listen to Lindsay Hansen Park’s yearofpolygamy.com and you will find out that things were not as we were told all these years. Thanks Paul, Lisa, Kyle, and John. Great and amazing story. Thank you all. Perhaps the difference is that Mormon polyandry wasn’t about a woman enjoying consensual relationships with two or more men. Rather, it was about one man – the “Prophet” – claiming the authority to conscript women already in consensual committed relationships. This demeaned and subjugated both the woman and her husband. In other words, it wasn’t so much matter of “what’s good for the goose, is good for the gander.” You might remember that Emma argued for such a fair symmetry with that “sweet little man,” William Law. But Joseph shut that down with D&C 132. Given that, I can also imagine that for some men the distinction has a taint of sexism. I think calling it polyandry is a misnomer. Even though the women in Joseph’s case continued to live with their husbands in order to maintain secrecy, from the church’s POV, those women had actually been divorced from their husbands and reassigned to Joseph, Brigham and other church leaders. It’s the same kind of horse trading Warren Jeffs and his group do today. In many cases, the women have no say in where they end up. If a man with “higher” priesthood wants them, that’s where they go. The story of Henry and Zina Jacobs put this issue into stark relief for me. Woman to woman I get it. What I did not read addressed in the comments by the men is the violation that women have been taught and expected to accept in the name of God. Plus keep your mouth shut and don’t talk about it or complain. Our entire lives we have been schooled to believe that the order of Heaven is for us to be like a herd of cows with one bull!!! That it is our duty, no let me restate that, our “Divine Calling” to support such an arrangement for the glory of a man. Incredible! What God is this? From my perspective I think polyandry hits a man’s ego. The idea that someone of a higher church position could take their wife for sexual pleasure I am sure stirs their wrath. Well welcome to the club men. It is abuse whether married or unmarried. Both women and men, women just longer, have been tormented by a sexual predator that espoused he was directed by God to satisfy his appetites. What agony he has caused in the lives of so many. Isn’t it nice that we can chose not to give him and his teachings our lives, minds, and hearts anymore? Thank you for your kind comments about our interview. This was so scary for us to do, and we knew we would forget to say important points, gloss over points which needed deeper explanations and misstate points out of nervousness. I’m sure you can understand. You ask some very important questions, for which I unfortunately have only unjustifiable and ungratifying answers. First let me say that although we mentioned some issues that bothered us, we didn’t dwell on these issues because I am not the historian or theologian who might respond more logically. I can only try to explain from my perspective as to why I and MANY other women still in the church seem not to be upset by polygamy in general. From that perspective, I will give you my thoughts, for what they are worth. I am certainly not wanting to debate the theology with apologists who might be lurking. My family likes reading a fantasy series which includes a group of evil assassins called “gray men and gray women.” What makes these assassins so good at their job is that they have the ability to hide in plain sight. They can be in a room full of people, and everyone will physically see them, but their brain will NOT allow people to dwell on the “gray-men and women,” remember them or even think about them later. If a person is forced to look at them, the person will become physically ill and will seek to forget them as soon as the force is released in order to preserve their sanity. To me, Brigham Young’s polygamy, is one of hundreds of topics which I and many people in the church I know treated just like a “gray-man.” We know about them, and our mind quickly moves over the topic without dwelling on them and quickly seeks to forget them in order to keep our sanity. Paul and I knew about Brigham Young’s and early Utah polygamy and both have polygamist ancestors, but we always grasped onto the narrative about “saving the widows” and that “it just became a way of life in early Utah to build up members” in order to keep our spiritual sanity. On the VERY few occasions when Paul would ask me about it, I would just say, “we won’t have to do that in the next life. We will have our choice.” From my memory, when this subject was addressed with any of my female relatives, friends or female ward members, they would say essentially the same thing. I do remember a few male members making the comment, (not Paul) that if we had to practice polygamy, God would change us so we wouldn’t be so jealous so we would be fine with what God wanted, because jealousy, after all is of the devil. When I heard this, I would just gag, and go back to thinking, “not me.” I NEVER LOOKED INTO THIS ANY FURTHER. To your direct question, I didn’t stop and think that I WOULD have to share my husband. Not me. I want to make it clear that now, I don’t see any difference in my disgust factor between polygamy and polyandry. But I was inoculated not to worry about Brigham Young’s polygamy, because I was raised with it. We are seeing the next generation being inoculated right now so some of these things will not bother them and it will take something else to get them to have a moment of unease where they are prepared to stop and think. Looking back now I could give you a hundred or more examples of things that now make absolutely no sense, but as a TBM, I just accepted them. For example, the Tower of Babel, 600 BC ship building, 2,200 submarines, killing someone to pay for my mistakes, a million people killed wars without any remains, men only priesthood, more than one earring, coffee, paying tithing for poor people, lavish temples next to ghettos, urim and thummim, age of the earth and no death before the fall, blind obedience, one-true-church, and etc. All of these things I just didn’t think about, but now these issues, and many more bother me and I am embarrassed that I didn’t think deeper about them. To be fair, in the interview setting, I was very nervous, and it was hard to remember everything and I did dwell on Polyandry because it was a big shocker for me (as someone else said) that got me to a place where I could question. But had I organized my thoughts better, I would have said also hearing about Joseph’s polygamy, early efforts with the native American women and especially the young girls, were equally shockers. Then I should have said, that because of these shockers I was then able for the first time to think about and to be disgusted about Brigham Young’s Polygamy, which then I allowed myself to be REPUGNANT over the Mormon view of eternal polygamy in heaven which makes me ill to even think that I once was part of an organization who devalued women so much that they became just one of many eternal breeding machine Goddesses for their priesthood holder. Sharing my husband now, is equally as repugnant to both of us as sharing me with other men would be. So many emotions. The point is that until your mind is allowed to process these tough topics, it just is hard to explain why they didn’t bother me as a TBM or why they don’t bother my believing loved ones. Brain theory explains a lot of this, but I am not an expert who should be commenting on this topic. Really, I was just trying to put two years of my journey into a few hours, so it was hard to fully explain so many tough topics. BTW, I have read the apologist responses, and they do not resonate with me. I do appreciate the question and I think it has generated some thoughtful dialog which I have enjoyed reading and learning from. Thank you for caring and adding to the constructive dialogue. I just wanted to say how much I enjoyed this interview. Maybe “enjoyed” isn’t the right word; maybe “couldn’t stop listening”, “hung on every word”, “bit my nails to the quick” etc are more apt. But I just wanted to say that you didn’t come across as nervous. Maybe you felt nervous, but you expressed your thoughts and feelings very thoughtfully and with depth. Although you could have talked about polyandry and a large number of other topics if you had the time, this interview was intended to be about you and your family, your experiences and your spiritual and social journey. It resonated strongly with me and with many others. You showed by your words and example that the church is losing some of its best, brightest, and most compassionate members, and that the caricature of people leaving because of laziness or a desire to sin is false as well as unkind. So thanks again for sharing your lives with us. Your story was beautiful and deeply moving. 1. Polygamy was practiced in the bible and we all know about that – King David, King Solomon. 2. Polyandry was not practiced in the Bible or anywhere that I know of, something that Joseph came up with. Never heard of it. 3. Polygamy was restored to Joseph (we are told). Polyandry was not – never mentioned anywhere in Church Doctrine. 4. Polygamist wives were supposed to be virgins and were to raise children up to the Lord. 5. Polyandrist wives were not virgins and may have already had children. 6. Why is there a “need” to marry an already married woman. Why would God have someone do that? 7. Polyandry destroyed some of the marriages that Joseph was involved in. 8. Some of the married women that Joseph married were women of men that Joseph had sent away on missions. Way bad! I hope that helps a little. I think that Polyandry is/was so shocking was that we had never heard of it, and can/could not imagine a somewhat modern religious leader endorsing and practicing. It has never been heard of since Joseph’s time that I know of. How powerful and valuable it is for “ordinary” people to share their lives and hard-won wisdom. Thank you Paul, Lisa, and Kyle … and John! So many points of contact for me also … a distressing first temple experience (1984 style) … and that on the eve of our marriage, and so duly buried … then slowly festered by boredom and that banal Book of Mormon … then stumbling on early Mormonism’s “magic world view,” etc. I appreciate everything that was shared. I’ll only give special notice to those final comments about “leading with love”, “celebrating the boundaries”, and distilling hope from religious faith. Leading with love. Indeed, most of 1 Corinthians 13: 4-13 remains worth keeping. My thoughts about boundaries have been in terms of “honoring” them. I have been challenged to express this three times in temple parking lots. Like Paul and Lisa, I couldn’t muster feelings of upset or anger. I was taken in by my children’s happiness. Day-to-day my boundary-honoring takes the form of selective silences as I keep in mind that it is mutual. While our silences may be tinged with fear or apprehension – either existential or of estrangement – it is more an expression of our love and commitment . In particular, our greater feelings for each other than for an institution. Like Paul, I have felt that desire to be understood. Over time it has been displaced by a greater desire to understand, as Lisa mentioned. Like Lisa and Paul, I quickly found myself engrossed in the study of psychology, Biblical criticism, and the history of Christianity. I also discovered moral philosophy and the great depth and diversity of human experience offered by literature. Entering a personal “Age of Enlightenment” has been exhilarating, especially after finding a few close friends to share it with, and with whom I can feel understood. Finally, hope – rather than belief – seems the part of faith most worth keeping. My wife and I really enjoyed your story. The love that Paul had for Lisa is really something! We only one child whom we adopted. She is married with five children. After we stopped attending, I called her on the phone one day, since we were always so close, and told her our discovery, but like your daughter, we told her too much.. After that she didn’t talk to us for a few months. After a couple years, she told me that, after she found out that we would no longer be attending, she had cried for several days. Relations are better now but something is missing. Since we live in rural western Idaho and she in a small urban center in eastern Idaho, we only see the family once a year on a family vacation, and even then we have little time with the grandkids. We have Skyped twice and they have visited us a couple times, I sent her the Mormon Stories you were on and told he how much love there was in your story. After 4 and a half years, like you, we feel that our former friends have no empathy for us at all. Yesterday evening I talked to my close neighbor (We have quite a few LDS in our area.) She had never heard of the church ruling that children of gays could not be baptized. I asked her if children would be punished for their parent’s sins and she replied “No!” And, added that, “That is an article of Faith”. “Then why, I asked, are children in a gay family punished by not being able to be baptized?” As usual I get the same, “I don’t know. It doesn’t affect my salvation..” If being gay is a choice and God will punish those whose choose to be that way, then I guess he will have to punish the over 800 species of animals who also “choose”?? to sin? I have been studying science a lot lately and believe completely in evolution so I know that homosexuality is just part of the evolutionary process. But tbm’s seem to be opposed to science unless it helps them with things like computers, i-phones, etc. We are in our very early seventies and were super-active for over 40 years, We both attend therapy from time to time. We feel alone and occasionally attend other churches. No one has asked us yet if we believe in Jesus. We don’t, especially after reading “Misquoting Jesus”, by Bart Ehrman. And thanks, John, for the fine programs you give us. I would like to see you do another survey to see how progress is coming with those leaving, or even just close to leaving. Exclamation Point! Your life is pretty much my life. My wife and I are in our early 60s and came out of the Twilight Zone in the last two years. I’ve been in a Mormon since birth and paying tithing to Jesus via the Q15 since 1974. If we would have combined your tithing and my tithing we coulda bought a McDonalds and retired on yaughts. Both the wife and I have taken to therapy too and its been helpful. We learned skills to help open the windows of communication with an adult daughter who felt the need to shun us for several months. The LDS Church is a great big, annoying wedge in our relationships with every member of our big extended families. Every single one of us who are born into it has squandered away a ton of our energy and resources to an corperation our parents told us was the one true church and that turned out to be anything but. I think your most universally relevant line is, “Relations are better now but something is missing. ” Members of the church, like me, who innocently fall into a information rabbit hole and subsequent learned convincingly that the church really is just another man-made oddball cult, you suffer mentally, people find out and then your world disintegrates. TBMs go all out full court hate press. They can’t help it. As you start to repair those relationships, “there is always something missing”. Even if the TBM goes down the rabbit hole later and joins you in the real world, your relationship is never as rich or warm as before. I’m seeing that in almost every exmo family I get to know. Its a shame. If 55-70 year old baby boomers, like us with a bunch of sunk costs, discover that church is just another Emperor Has No Clothes parade, what about our kids and grandkids with smartphones attached to their palms? I think most of them will figure this out. There’s likely to come some interesting times in Salt Lake City. If we live enough, we could be here for that. BEST ONE YET! Thank you, you ordinary extraordinary family! WOW!!!! Thank you for a powerful story that says it all. These are ordinary people, yet extraordinarily open, honest, and courageous people who are finding joy in being true to themselves and finding peace in centering their lives on one simple basic principle . . . love. WOW!!!! Wow, this one has everything. Congratulations on having worked your way all the way through it and on learning as you went. “Claiming your authority” is a great concept. More people need to refuse to be cowed by church authorities and other members, to find their own truth and own it as you all seem to have done. I just finished the final of three episodes. This has the elements of a pretty interesting stage play or movie at least for investigators and exmos. This family’s story covers a lot of ground in the field of church “problems”. I don’t know which is more riveting, the mom and Kyle quilting scene or the time where Paul rushes from his first temple session, ashen faced and terrorized, gasps to his 17 year old future bride, “This isn’t the church I grew up in!” or sum-such. Pretty dramatic. That resonates with me. Most of the dramatic moments in my life have a common ingredient: The LDS Church and its doctrine is usually right in the middle. I loved this podcast. I can’t believe how similar this families story is to my own. Just last week my wife and I were discussing our spiritual journey’s. She knows that if it weren’t for her and my 3 children that are still in the home I would stop going to church, stop paying tithing and who knows what else? I would have no problem leaving everything behind. Like Paul, I too regularly skip out on Sunday school and priesthood meetings and am critical of the way things are done and peoples motives for the things they do. About a year ago I asked to be released from my calling in the HP group leadership because I was feeling burdened by all the things being asked of me by the church that I didn’t want to do. This troubled my spouse who is LDS to the core, was born and raised in Utah with pioneer heritage on both sides. Much like Lisa, she was trying to be super Mormon mom. A few years ago she started working full time and now gets fulfillment in her job that the church once provided. The church now is sometimes burdensome and a source of guilt and shame that she is not good enough. She feels judged in our ward that our son will not be going on a mission, that she is a working mom, and that our daughters are not considered stalwarts in the young women program because they sometimes miss activities and that she allows them to wear tank tops. Although I could easily leave, she could not. Being a Mormon is who she is and she worries about the social and familial consequences. And besides, what if it is all true and she rejected it? She definitely has cracks in the foundation of her testimony but would rather put them on a shelf and not address them. However, I feel alone and confused by what I am going through. These podcast are comforting to me because I realize that I am not alone in my journey. I feel shame and guilt for not be the priesthood leader that my wife and children deserve so I try to fake it. When we talk about what I’m going through it usually doesn’t end well and I feel misunderstood. This last week she asked me what it was that I wanted from all this and I thought about it and I’m not really sure? It would be wonderful if she wanted to leave the church but I just don’t ever see that happening. I think she would stay and go through the motions even if she didn’t believe. I really don’t know what to do? I have got her to agree to read the essays with me because I feel that is a safe way to introduce some of the controversy surrounding the history of the church. I will not try to tear down her faith with anti Mormon websites, books or articles . I don’t want her to change for me but I just think she could live out the rest of her days with her head buried in the sand, happily living in her safe little bubble. She knows that I listen to Mormon Stories Podcasts and has asked me not to because they are shaking my faith. But I would really like for her to listen to this one if nothing else to realize that others are leaving. I think that she could relate and hopefully see things through a different set of lenses. Sorry for the lengthy reply but I wanted to reach out for help. Writing all of this also helps me to sort out my feelings. Therapeutic I guess? I agree that writing down our feeling also is therapeutic. I think there are many people in your situation. My husband agreed to read the essays and agreed to read another book I wanted him to read, but after one chapter he said he was done. I am tired because I feel like he is willing to give the church and Joseph Smith more benefit of the doubt than he will give to me. He certainly knows that I didn’t stop believing because I thought it might be fun to turn our lives upside down! But that is what it has done. I just wish he believed my VALID concerns and feelings about all this stuff as much as he regards the church. He is a fantastic person who I think is a very rational thinker, except when it comes to these topics. Then he just shuts it off and refuses to look at it. Why are some willing to say, “Hey, I may have been wrong about the things I’ve believed all my life”, while others would absolutely cannot and will not admit that their beliefs could be incorrect? It baffles me. But he is a good man and I do not want him to do something he doesn’t feel just to make me happy, but I wish he could just be willing to look at things a little more openly and not be so defensive about it. Every time we have a discussion he ends up sounding just like the apologists. Always has to have an answer to everything-answers that would never suffice even to him if it were about anything except the church. He won’t apply the same type of skeptical thinking that he often uses in life to the church. *sigh* I know it is very frustrating and depressing to all those who aren’t as lucky to have their spouses come around and “SEE” the truth the way Lisa did in this podcast. Paul is a very lucky man to be married to someone who was willing to open her eyes and stand with him in his desire to live with integrity despite the fears of how everyone would take it. Good luck to all of us who have to keep hanging on another day, another year-knowing we may never be blessed to have that type of scenario. It takes so much strength and patience to live this way. If your wife will at least read the essays, she will be in the rabbit hole. Most TBMs will not even do that. Particularly if you read them together, carefully without you even initiating comments. Only respond to her comments. Read section 132 also, together, line by line. It is CURRANT scripture that still applies to us, otherwise it would be taken out of the standard works. Hundreds of changes have been made to those same standard works over the years to eliminate mistakes or clarify misunderstandings, even in the last year. Section 132 is still there in the scriptures with no changes. Let her consider what she is reading on her own, without your input. She will start to understand and eventually she will be ready to walk herself out of the Twilight Zone. With the mic right there on the collar, swallowing water sounds like a thousand camels guzzling down a lake. It’s like nails on a chalkboard to me and I almost had to turn it off, even though the story was fascinating. This was an extraordinary episode, one of the very best so far and I’ve heard lots and lots of Mormon Stories podcasts. I was literally riveted. I am a never Mo but my son is a convert which is why I’ve been drawn into learning and listening about Mormonism. There are so many good things about this podcast but the one that I totally related to was the marriage of your son. You handled it beautifully. My husband and I were unable to attend the wedding of our son two years ago. We were offered the option of sitting outside the temple during the sealing but declined. We did not want to create a forever mental image of watching our son enter a building to make a major life commitment where we were unwelcomed and considered unworthy. We did not want to be included in the inevitable photographs that would be taken on temple grounds afterward. Later that same day, we had a beautiful (and truly memorable) ring ceremony in our backyard that combined Hindu and Western wedding traditions. Rituals were performed and vows were exchanged. No Mormon bishop was present. It has all worked out better than we could have hoped for. We have a wonderful son whose love for us has never wavered and most amazingly, a daughter in law who we adore and love and who loves us dearly. Knowing how things could have worked out, we are fortunate beyond words. I enjoyed hearing about the son who grew up never believing, since that was the experience I had. I grew up in a TBM family in the 1980s. No internet, no Mormon Stories Podcast. It was amazing to hear about the parents telling their son that he was right all along. I can’t imagine my TBM parents having that conversation with me — it would be weird and amazing at the same time. John, I would love to hear interviews from someone who grew up pre-internet in a TBM house and just never believed any of it. There have been many stories about people who have had recent faith crises but I think the story of the born-in-the-covenant-nevermos has yet to be told. I was glad Kyle opened up about his experience in the church as a closeted gay. When he said he would stare at himself in the mirror after feeling attraction to another guy and say that he hated himself over and over, I realized how gays do not have any place in this church. It is a totally toxic environment, and there are many people who are living in their personal hell because of forces outside of their control. When the church takes the stance that homosexuality is an abomination/sin, etc, you are diminishing who that person is…just like saying blacks or women are inferior. They grow up to either hate themselves, or view themselves as underprivileged/blessed/cursed for something they don’t have control over. Paul, my wife was in the Munich mission from 79-80. Who were your mission presidents? Part one really struck home for me as your story was pretty much my story though mine has yet to fully play out. Glad you and your family are in a better place. You can watch it here, Leslie. Thanks! Thank you! I absolutely LOVED this podcast! This family is so loving and they are wonderful people. Their story in part 1 could be my own. Almost exactly. I hope we can see more of these personal stories coming! I have enjoyed many [most] podcasts over the years, but this series, particularly the first episode #650 really hit home. So many individuals, couples, family members I know personally , are at some stage in almost identical situations. If only all those undergoing such trials could agree to listen to this series, then consider the pain of their mate, child, etc., love and understanding could emerge as a real possibility! This is by far one of my favorite episodes! Thank you Paul, Lisa, and Kyle for sharing your story with all of us! It has been a year since I stopped going to church and stopped believing. But it has been 7 years for the rest of my family. 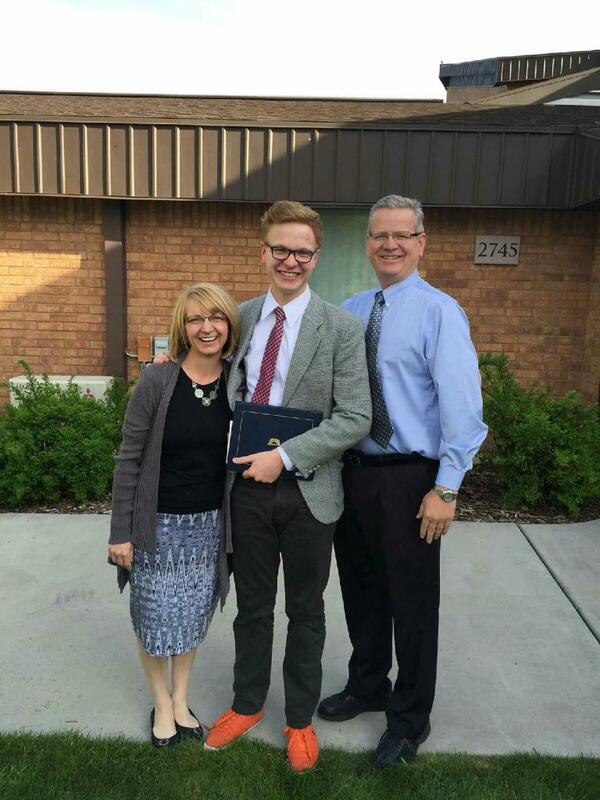 My brother was on his mission when my family stopped believing and didn’t tell him until he got home. My family had to stand outside the temple as I got married. Oh how I wish my mom had the resources Lisa did at that time! We had no idea other families were out there experiencing faith crises. I have no doubt your story is bringing families comfort. Thank you again! The only member of the family who has bothered to engage with me since I resigned, has responded in the usual way after I asked him to watch this. He said he can’t understand people would drive 5 hours just to diss the church, and people (ie me! ) who go to sites like this are disgruntled and so on. Same old stuff – he was very defensive, doesn’t want to get into a long discussion. Asked him, “can’t you see the pain here? Don’t you have any empathy for this family?” He says he has, but there’s a right and a wrong , and it’s wrong to leave the church. I know he thinks being gay is wrong, but he doesn’t want to discuss it. The socialisation in this community is so anti-everything outside of church teachings, it is depressing. I really am done with just asking for compassion for those who can’t stay in the church. He says he doesn’t believe that people can’t. They choose not to. Yes we do, but the blinkers here are frightening. He has kids who can’t discuss anything with him. Oh well. I wouldn’t have made it so far without other people’s stories, so thank you all. Thanks John. I was going to ask him to go to the Hans Mattson story, but he’s getting annoyed with me. I was just reading comment above. Any chance you can catch Hans Mattson for an updated interview?? He is so intelligent and really helps a lot of people with his wisdom & experiences with the Church. We would love to hear how he is doing with his family at this point as well. Thanks!! Thank you, thank you, THANK YOU, “Ordinary” family and John Dehlin for this episode. I am a recent ex-mo who has been completely at a loss on how to interact with my still-believing family members and friends, as I’m still reeling from disappointment and disillusionment with the church. I so appreciate your message about just loving our dear ones to death, and not addressing the chasm between our ideologies until they are ready to hear our reasons for leaving. It may seem like such simple advice, but this is life-changing for me. So grateful! This may be my favorite Mormon Story Podcast. The questioning members of this church need to hear their story…and take away that they are so happy…even happier than before. I applaud Paul, Lisa and Kyle for their willingness and honesty to expose their unconversion story to those of us who need to hear it. Fantastic podcast! Clip on mics are needed for all those participating. There were some sound problems. But still a great podcasts and to me probably the best so far. Wow, what an experience I hope mine will work out the same. I have a question for Paul. In part of the podcast you mention that there were some problems on the Hand Cart Trek that are not known or spoken about. Can you point me to a source or two? Thanks to all! And all the best to you in the future and thanks for caring enough to share your personal experience! “Devil’s Gate: Brigham Young and the Great Mormon Handcart Tragedy. Devil’s Gate: Brigham Young and the Great Mormon Handcart” by David Roberts. Thank you Darkshadown, I will check it out! Thank you for your kind words. I hope your story, whatever it is, works out to give you and your family peace and happiness. This is so hard, but good family relationship are a treasure worth preserving if you can. As far as the hand cart Trek – I certainly am not an expert but I have read various sources, especially Will Bagley’s Paper and the book Devil’s gate. And I found the link listed below to a Reddit post to be very helpful. I certainly understand the value of team building by taking a group of people to a leadership ropes course and that having them do hard things together is a great way to build the cohesiveness of a team. I think that is one reason the Church encourages hand cart treks. Having a ward or youth group go on trek for some is very rewarding because everyone is helping each other in a harsh environment to achieve a goal. This is perfectly fine in my book for those you are manipulated to attend. Where I have major concerns is when the hand cart trek is used in a very emotionally manipulative manner by exaggerating, omitting and falsely telling stories to fabricate a spiritual experience which will be so strong that people will use these experiences as a foundational part for their individual testimonies. -The companies were encourage to leave late because Apostle Richards scolded them for not using faith and promised them that God would protect them to SLC. So ultimately, to me the handcart trek is a good example of why we should NOT be blindly obedient. That is what should be learned from this tragedy. -The three boys who earned exaltation by carrying people across the river, did not die from exposure that day as I was taught. Also, what does it say about the atonement, if that one act earned them exaltation anyway, as per BY? -The story that none of the party ever left the church is not true. -I found the Women’s Pull to be very emotionally manipulative, and it was told to our ward that it was in representation of the men having gone off to the Mormon Batalion. Which is not accurate. -Also the tale that has been told in conference about the old man in a Sunday School class that stood up and rebuked someone speaking ill of the handcart trek was basically retold about 90 years after the trek happened. I find that to be a shady source at best. Perhaps this Reddit post will help. It has the Bagley article and a BYU story linked in it. Hope this helps. Best to You! Thanks again for your kind words. Thank you Paul! Some of the issues I have heard a little about and some are new. I appreciate your reply and information. It was a great tragedy! A lot of misinformation and false stories generated to keep the believing hooked. I enjoyed all three episodes. I listened to the first two with my wife who is still TBM. I don’t think that she’s going to come around at this point, but I think that she was able to realize that my journey out of the church is just as sincere and important to me as her journey in the church. She has had a hard time accepting the changes I’ve made in my life and has seen me as a wayward sheep rather than a person who is hurting, like Paul mentioned. She is still quite a bit in denial and feels that her Mormon world view is threatened by my new worldview, but I hope that one day she’ll at least value my point of view regardless of whether she accepts it. I liked your comments in the third episode about if this is the only life we get, our relationships become that much dearer because we can no longer put them off to the future celestial kingdom. I realized this pretty quickly after I left the church, and I especially started spending more time with my family members that are not Mormon, because I realized that in a lot of ways I had isolated myself from them. Realizing that this may be the only life I get (and that they get) made me want to be closer to them and to love all my family members regardless of their beliefs. Thank you all for your courage and good example. Best wishes in your journey. I really, really enjoyed this podcast. This family seems so wonderful, and so loving. After listening to this, i feel like I want to know more and more about them. I hope they keep putting their voices out there, as they clearly have lots to share, and great advice to give. I am curious about how it was for Kyle to come out to Paul. How did that all happen? We heard about him coming out to his mom, but not his dad. OH, MY, GOSH. Sooo many Mormon Stories interviews have touched me. But none like this ordinary family’s. Thank you Ordinaries! Thank you Mormon Stories. This morning found me weeping,; bouncy weeping, curled-lip weeping. The eyes got a tad misty when Mrs. Ordinary spoke of seeing his pain for the first time. The tears flowed a couple minutes later when she so quickly saw the truth; just how much her husband loved her. I am separated from my wife presently. I don’t know that she ever felt my pain. Even when I cried leaving the bishop’s office, feeling I had to wear my garments when I really, really didn’t want to. I also realized what has been forgotten-I loved my wife. Like brother Ordinary, I gave promises that didn’t come from a genuine place, but from a desire to please my wife. Like Brother ordinary, I got snarky every now and then, and harbored resentment, but did what I could to please my wife. Because my wife has stayed with me through my disaffection, I didn’t think Mormonism was an issue in our marriage. All my friends and family insisted it was. Now I see how central it has been. This is such a beautiful story, and I’ve only heard part 1! Thank you for sharing your stories. Even though you claim to be ordinary people…your story, your attitudes, and your courage to be authentic, are extraordinary. I learned a lot about boundaries and being able to be authentic without needing to share “the truth.” Your story was helpful and inspiring. From a listener in Alaska, Debbie. I just finished watching these three episodes. Thank you, John Dehlin and thank you Paul, Lisa and Kyle for sharing your experiences. This was very touching, and there were so many things to which I could relate. I wish for you all the best as you continue on. You’re an inspiration to me, each one of you. Hi from Sweden, thank you for this wonderful story that made me cry a lot and healed me from some of my wounds! From mouths in rural Utah to ears in Sweden… I love that we have the communications tools available today that allow LDS people from all over the world to share these experiences. It gives me hope that someday everyone will have access to the reality that the LDS church leaders have hidden so well for generations. I saw a poster over at newordermormon.net (NOM 2.0) recommend this episode. I saw the link and after reading their synopsis decided to listen. What a powerful story for all of us living a portion of their same struggles. Great interview John! This is only the second story I have listened to from Mormon stories and I thought it was really good. I could relate to Paul and what he said about going to the temple. I felt the same way. Thank you for sharing your story, I am sure it will help a lot of people. I left the church in 2005 and did not have access to any help or resources at that time. I can see how much better it is when you have help and resources. My transition was a lot more traumatic. I know this comment is late in the game, but I was able to watch this podcast yesterday and boy do I wish I would have seen this awhile ago. We are a family of four in the midst of the faith crisis. We have decided to leave, but trying to decide to leave or to fully resign. As part of this process I had a conversation with my mother because we go to the same small branch in upstate NY. We felt we had to let her know of our transition, but we made mistakes and we went into detail. To be fair, she did ask why, but as I began to tell her I could see it bothered her and I then began to defend our decision. Post conversations have been shut down and it hurt to see her shut it down. The 2nd hard piece to this is our 11 year old son just recently came to me and let me know he thinks he is bi-sexual….I believe he said thinks as he wanted to test the waters. Our first response was just to embrace him and since then we have let him know we love him, support him and just want him to be who he truly is. The concern that has popped up for me, my new trigger, is my mother and some other family members make negative comments on the LGTBQ community, God and the church. The comments are ignorant, but I hold my tongue. My sons story, his journey….is his. I would never tell my family anything until he feels comfortable. So we are in the middle of a true struggle. Your experience and comments have helped me to reshape our approach going forward with family. We have decided there is no need for an “announcement” and we will not divulge details, unless someone really has true expressed interest. We both are returned missionaries and we see a lot of value and good in the church, but we can’t deny the false and unhealthy areas. So the decision is a healthy one for our family. Thank you so much for sharing your experience. You had stated your goal was to help those in crisis and you most definitely have. Much love! I find this podcast so interesting. I was raised in Utah as a non-mormon. I ended up marrying into a very Orthodox Mormon family but my husband was not active when we married. My in-laws tried to get him back into church and also convert me. They gave up eventually, and decided to take the high road, as you have done. Even though it wasn’t discussed, we all had the boundaries you’ve spoken of and this completely saved our relationships. My in-laws had very high church callings, which were discussed a lot in front of us. As our children started to reach age 8, we decided to leave Utah so that they would not get the pressure that I felt growing up in Utah. Two of my nephews have gone away from the church and I do hope that they find their way to this website. I’m sure it’s been hard for them. Thanks for sharing your journeys. I’m sure you’ve saved some lives with your courageous stories.